Note: This review was part of the blog tour for Dying for a Living. A ebook copy was given for my review. 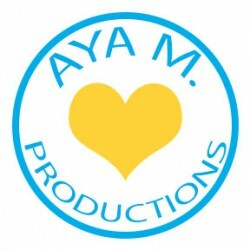 My tour stop was also accompanied with a guest post from the author and can be found on my blog. Dying for a Living by Kory M. Shrum was quite a complex read. I found it to be a bit slow at first. I think there was quite of bit of explanation by Jesse as she conducted a death replacement explaining what a Necronite is and, in a way, how the replacement occurs. Once they mystery of it all started picking up though, the plot got more intense and more thrilling. Jesse was a character I found to be a bit difficult to connect with. I think it was her need to not feel emotion or form any long lasting romantic relationship. As I got to know her, I started to understand her better and definitely sympathized with her, cheering her on. She was quite the snarky, unique character though. Her job was also one I’ve never encountered before in stories. Quite an interesting urban fantasy/paranormal. The love triangle didn’t quite resonate with me. Although, it could just be because I’m not a big fan of love triangles. I loved all of Jesse’s friends though. They were all very unique and had interesting personalities. 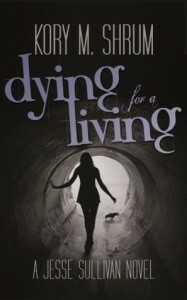 Overall, I enjoyed reading Dying for a Living by Kory M. Shrum. It’s an interesting take on urban fantasy. I mean seriously, have you ever heard of a story that had a character that could replace someone else in their death and live? That’s so crazy! The mystery was also quite complex. I quite liked Dying for a Living and would give it 3.5 stars.